Beauty is more than skin deep. In fact, it is very closely linked to your health and what you eat. Our lives are way too hectic and there is not always time for a beauty routine. We rush from one activity to the next grabbing a meal while we go. Have you ever stopped to think that your food can be part of you daily beauty routine? When we eat fast food like hamburgers, kota, slap chips or pizza, they fill us up so that we are no longer hungry. But they do little more than keep hunger away. Did you know that they are low in vital vitamin and minerals? Eating fast foods does not help your body stay strong and healthy or keeping your skin glowing. If you want to look after your skin and hair, you need to protect it from damage by what are known as free radicals. You can fight them by making sure that you have enough antioxidants. Antioxidants are found mainly in vegetables and fruit. That is why over and over again one hears how important it is to ensure that you have at least five servings of fruit and veg each and every day. If you aren’t eating enough, then you should consider taking a multivitamin and mineral supplement that helps you ‘add’ the necessary nutrients to your diet. How does the food that we eat help our skin to glow? Food supplies our bodies with different type of nutrients and each one has a specific role to play in keeping us healthy and performing optimally. So we need to ensure that the majority of our diet is make up of nutrient rich foods. 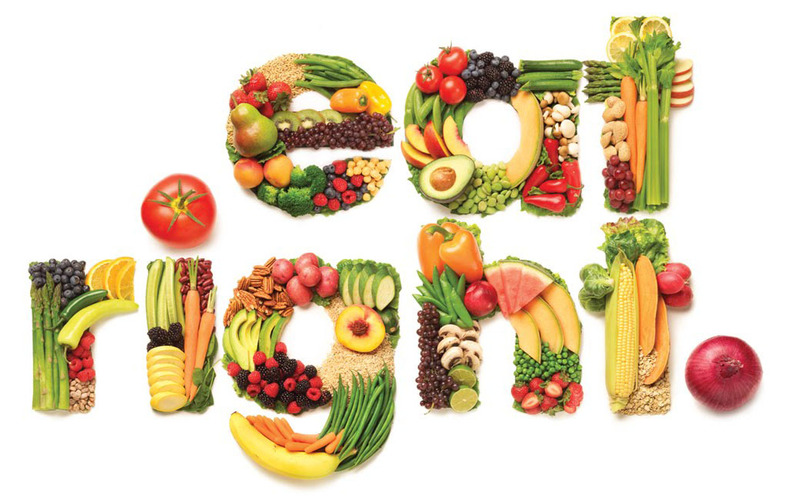 Each food provides different nutrients so you also need to eat a wide variety of foods to get all that you need. No one food can give you everything! Nutrient rich foods are vegetables and fruit (always select a range of colours across the day), healthy fats (those that come from plants and fish), whole grain carbohydrates (such as whole-wheat bread, barley, millet, sorghum, oats, brown rice) and proteins (from lean meats, chicken and fish as well as lentils and beans). When you eat a variety of these foods each day your body is supplied with many different nutrients including the vital vitamins and minerals thus keeping you at your peak inside and out. 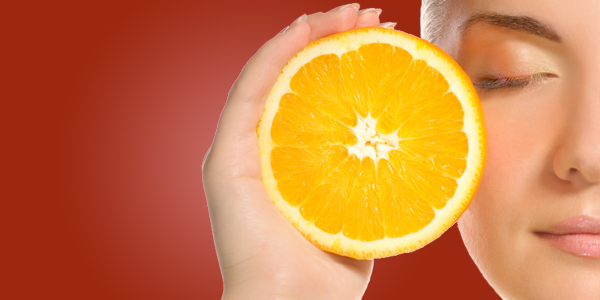 How do eating these foods and so filling up on these nutrients impact on your skin? They improve the skins elasticity – a key characteristic of healthy skin. Try these 5 easy steps to shake up your beauty routine to get a healthy looking skin. Mix it up. Add more vegetable and fruit to your diet every day. Great ways to do this is by adding salads, healthy vegetable or fruit smoothies, fruit snacks and stir-fry’s to you daily diet. Remember to go for a variety of colours and try new veggies and fruit that you have never tasted – you might be pleasantly surprised. Drink more water. Replace sugar sweetened beverages with clean, safe water. Healthy skin needs to be kept well hydrated. That means you do too. Carry a water bottle around with you so you get into the habit of sipping during the day. To give the water a bit more taste, try adding slices of orange, apples or even cucumber or mint to it. Keep away from high sugar and low nutrient drinks like fizzy cold drinks. Limit the amount of coffee that you drink each day, especially if you add lots of sugar. Switch them out to rooibos or green tea – they are good sources of those free radical fighting antioxidants, which is what your skin needs. Increase the amount of fish that you eat. Try fish dishes that include pilchards and sardines as they are packed with the healthy Omega-3 fatty acids that are not only good for your skin but also your brain and heart! Add a multivitamin and mineral supplement to your daily routine. Choose a supplement daily dose that provides 100% of what is called the Recommended Daily Allowance. To work a supplement does not need to be expensive, ask the pharmacist to help you select from the many that are available. Also consider including an Omega-3 fatty acid supplement if you don’t like or don’t eat fish at least twice a week. The great news is that by changing just a few elements in your diet, to include more nutrients especially the essential vitamin and minerals, you can freshen up your skin and improve your overall health and performance. Now who wouldn’t want to at least try!